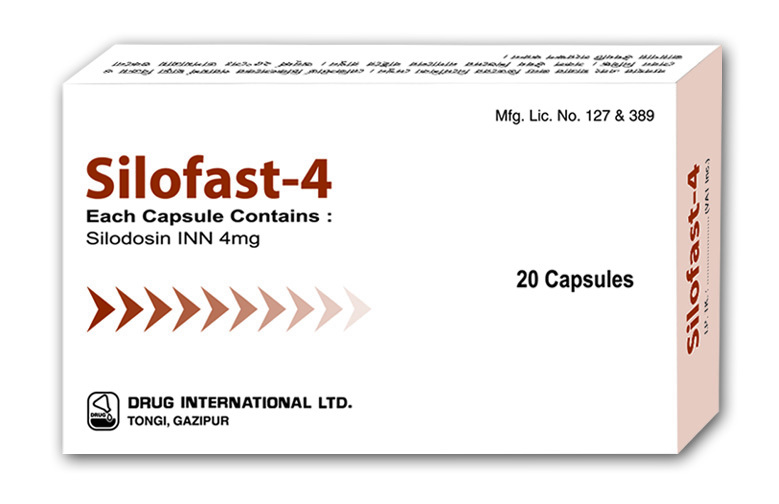 Composition : Silofast-4 : Each capsule contains Silodosin INN 4 mg.
Silofast-8 : Each capsule contains Silodosin INN 8 mg. Indications : Silodosin is a selective alpha-1 adrenergic receptor antagonist, is indicated for the treatment of the signs and symptoms of benign prostatic hyperplasia (BPH). Dosage and administration : 8 mg capsules taken orally once daily with a meal. 4 mg capsules taken orally once daily with a meal for those with moderate renal impairment [Creatinine Clearance (CCr) 30-50 mL/min]. Or, as directed by the registerd physician. Use in pregnancy and lactation : Silodosin is not indicated for use in women. Packing : Silofast-4 : Each box contains 2 x 10's capsules in blister pack. 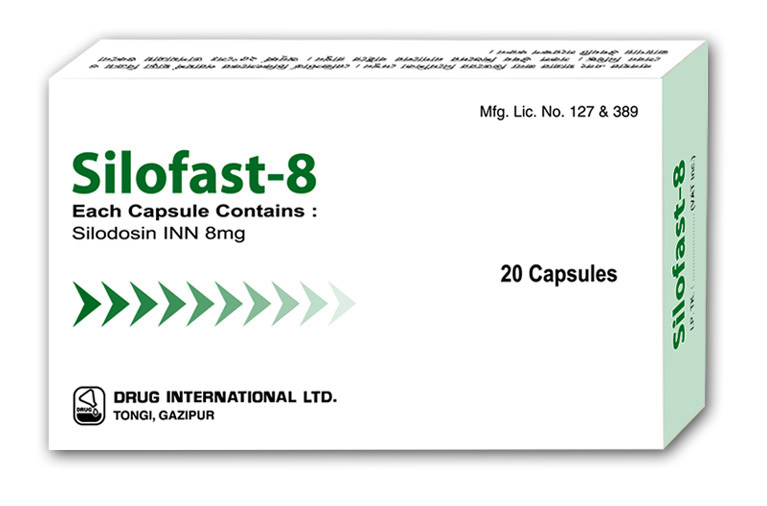 Silofast-8 : Each box contains 2 x 10's capsules in blister pack.